Kelli Murphy, now 12, of Fairfield, is accused of killing 3-month-old Brooklyn Foss-Greenaway in July 2012. 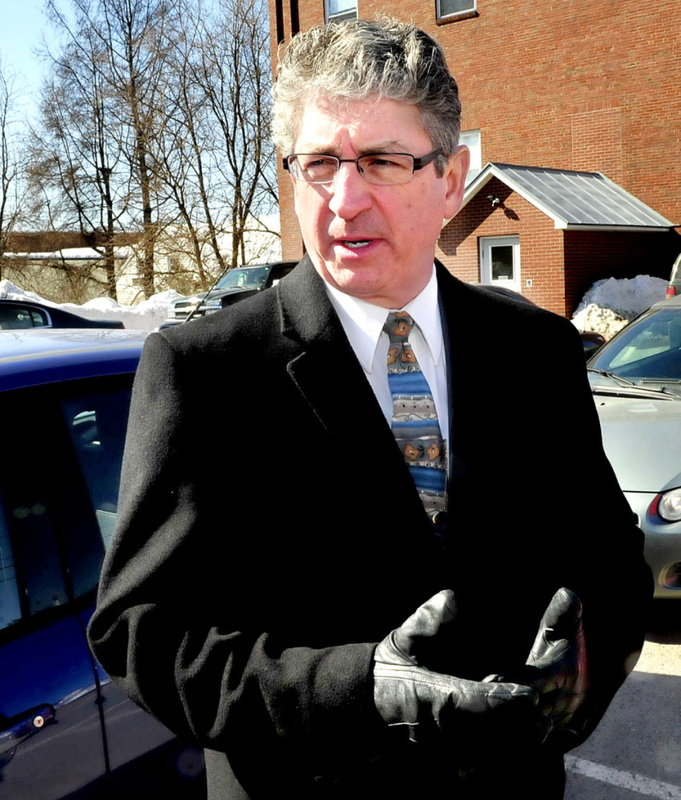 SKOWHEGAN — A judge is considering whether the youngest manslaughter defendant in the state is competent to stand trial after a courtroom hearing Thursday in Skowhegan District Court. Minutes after the closed-door hearing, Deputy Attorney General William Stokes said the judge did not issue a ruling in the courtroom. Stokes said there’s no timeline for when the ruling will be issued. Prosecutors and defense attorneys disagree on whether Kelli Murphy, 12, is competent to stand trial on charges she killed 3-month-old Brooklyn Foss-Greenaway in 2012, when Murphy was 10. 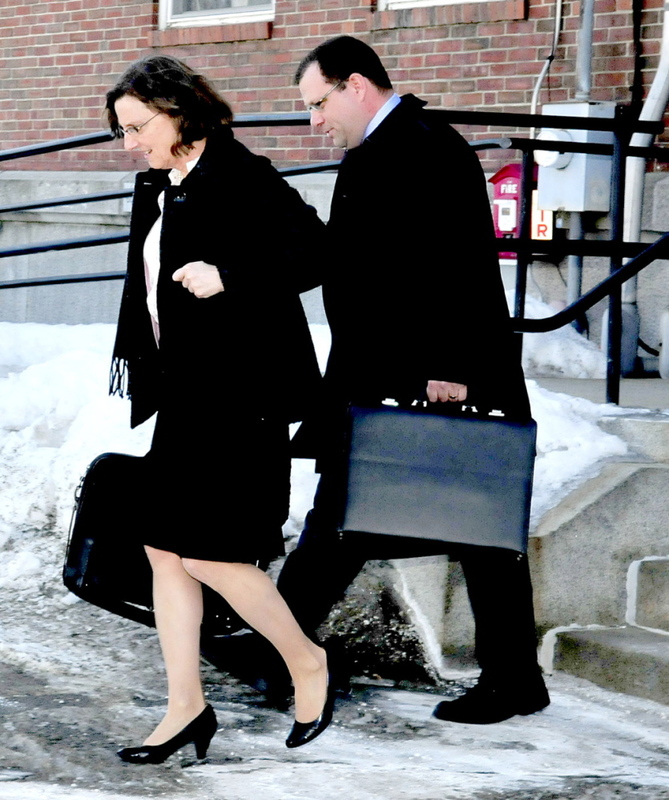 If Judge Charles LaVerdierre finds that she is not competent, he could dismiss the charges against her altogether, or order her to be re-evaluated in the future. If he finds that she is competent, as the prosecution team has argued, trial proceedings can begin. During Thursday’s hearing, which lasted more than two hours, LaVerdierre heard expert testimony from Carlann Welch, a psychologist working for the defense and from Debra Baeder, the state’s chief forensic psychologist. Stokes said Murphy was present at the hearing, the third time that her competence has been evaluated. The state has argued twice before that she was competent — in March 2013, when she was 11; and again in June — but the court disagreed in both instances. Establishing a defendant’s competence — the ability to communicate with one’s attorney and to understand the nature of the criminal charges — becomes trickier when the defendant is a child, according to James Alan Fox, a professor of criminology, law and public policy at Boston’s Northeastern University and a national expert on juvenile homicide. “We do know that the portion of the brain that controls our ability to think things through and consider consequences, to think long-term and understand behavior, that kind of reasoning doesn’t develop fully until early adulthood,” he said. 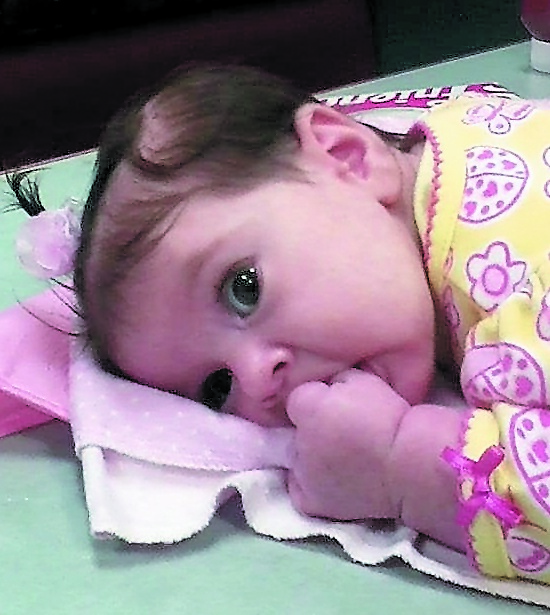 Murphy was 10 in July 2012 when 3-month-old Brooklyn Foss-Greenaway died of suffocation while in the care of Murphy’s mother in their Fairfield home. Murphy’s mother, Amanda Huard, called 911 and told police that the baby was not breathing. Murphy had been playing with the baby before her death, those in the house told police. The infant’s mother, Nicole Greenaway, of Clinton, said police investigators told her that there were traces of a medication prescribed to Murphy in the baby’s system. Months before Brooklyn’s death, housemates of Huard said they had to rush a different baby to the hospital, where doctors treated her for a reaction to that same medication. That baby recovered, and the incident led to the involvement of the Department of Health and Human Services, but no criminal charges. Fox said that while he had no specific knowledge of Murphy’s crime, someone her age is not able to understand what it means to end another person’s life. Fox said that the idea of treating juvenile offenders differently from adults became the norm in the United States about 100 years ago. In the large majority of states, he said, offenders age 18 or less are tried in juvenile courts, which are rooted in a philosophy of treatment rather than punishment. The age of 18 as the dividing line between juvenile and adult offenders took root decades before scientists and psychologists began to appreciate fully the physical differences between the brain of an adult and that of a child, according to Fox. Were the law to be created for the first time today, he said, science would suggest the age threshold should be higher. Even offenders as old as 22 do not have a fully developed capacity to understand and weigh the long-term consequences of their actions, Fox said. The sentences of children convicted of murder can vary dramatically, with some getting harsh sentences. For example, in 1994, 13-year-old Eric Smith was convicted of killing a 4-year-old boy with a rock in Steuben County, N.Y. He was sentenced to serve nine years to life. He has been denied parole every two years since 2002, and will appear before a parole board for a seventh time in April. In 1999, a Florida boy initially was sentenced to life but won a shorter sentence on appeal. Lionel Tate, then 12, was charged with killing a 6-year-old girl by causing her massive bodily injuries while babysitting her. When Tate was convicted in 2001, he was sentenced to life in prison. In 2004, Tate won a new trial and his sentence was changed to one year of house arrest and 10 years’ probation. In 2006, Tate was arrested and convicted of armed robbery of a pizza delivery worker, triggering a 30-year sentence for violating his parole. Criminal homicide charges against young children are rare but not unheard of, according to data from the Bureau of Justice Statistics, which found in one analysis of 30 years of data that about one in 200 homicides, or 0.5 percent, involves an offender aged 13 or younger. A different study, also published by the bureau, found the rate to be even lower, between one in 500 and one in 1,000 homicides. Offenders Murphy’s age are even rarer. Less than 1 in 100,000 homicides involve offenders aged 1 to 11, according to a different 10-year study reported by the bureau. Fox estimated the total number of very young offenders to be about 10 a year, a rate he said hasn’t changed much over the decades. Sometimes, the circumstances surrounding child offenders makes it clear that they were victims themselves before they committed their crimes. In 2011, Cristian Fernandez, 11, was charged with homicide and aggravated child abuse in the beating death of his 2-year-old brother in Florida. He pleaded guilty to manslaughter in 2013 and was sentenced to live in a detention facility until he was 19. Local news agencies reported that Fernandez had suffered horrific physical and sexual abuse from family members for his entire life, including having been found naked and dirty, wandering the streets at the age of 2. The boy underwent psychiatric tests during the court proceedings. His mother, Bianella Susana, who had Fernandez when she was just 12, received a suspended sentence and lost custody of her children. Fox said while he doesn’t know the details of the Murphy case, it sounds as though the adults in the case were at least partially responsible. “Obviously, there’s some shared culpability here,” he said. Greenaway has called repeatedly for criminal charges to be brought against Huard, a scenario that police and prosecutors have not ruled out.